American Cooling And Heating is proud to provide professional heating and air conditioning replacement and installation services throughout the state of Arizona. American Cooling And Heating provides Arizona professional heating and air conditioning replacement and installation services for Chandler AZ, Gilbert AZ, Glendale AZ, Mesa AZ, Peoria AZ, Phoenix AZ, Scottsdale AZ, Tempe AZ, And All Other Areas in AZ. Quality installation workmanship is key to the functionality and longevity of your new equipment, we always install equipment by manufacturers specifications and to national and local codes, all of our installation workmanship is warranted for the life of your new unit. We sell and install units manufactured by Trane, Carrier, Rheem, Goodman, Amana, and all other major brands. Products available include electric furnaces, gas furnaces, air handlers, condensing units, heat pump and AC package units, and air conditioning units. 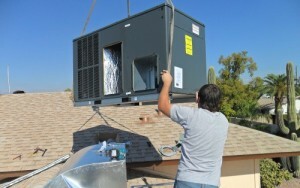 A/C Service for Gilbert, Mesa, Scottsdale, Phoenix, Glendale, Peoria, and all surrounding areas, cities, and towns. American Cooling and Heating installs heating and cooling systems and provides heating and AC replacement services to both residential and commercial customers. Honesty and reliability. We have been serving Arizona since 1993. The Better Business Bureau awards us a rating of A+, and we are Registrar of Contractors complaint-free. Competitive pricing: American Cooling and Heating will always provide you with the best price on a new heating or air conditioning system. Professional installation. All of our skilled technicians will follow the manufacturer’s guidelines carefully while installing your new heating or air conditioning system. Timely service: We have technicians on-call in your neighborhood and working around the clock to provide you with speedy service. Free estimates. American Cooling and Heating will offer you a free AC Installation estimate in your home at a time that is convenient for you. Variety: Our company carries all major brands, so you can choose from an extensive product line. Excellent warranty protection. We don’t make empty promises. When you purchase a new air conditioner or heating unit from American Cooling and Heating, you can expect to receive the best factory warranties available. Emergency Service: American Cooling and heating serves all areas of AZ 24/7. If you need us, we will be there. Satisfaction: Our history of impeccable work and competitive pricing has earned us the loyalty of thousands of happy customers. American Cooling and Heating takes pride in offering quality heating and AC installation services to the entire state of Arizona. We are one of the most respected HVAC contractors in the industry, and all of our technicians are courteous, skilled professionals. 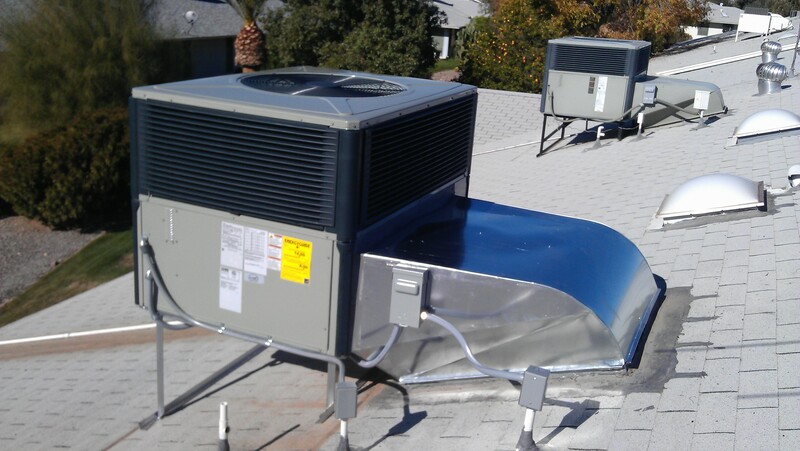 American Cooling and Heating has installed heating and air conditioning equipment in Arizona for more than 18 years, and every heating of air conditioning installation carries a lifetime workmanship warranty. When you choose our company, you can rest assured that you will receive quality service for a competitive price. We service all types and brands of residential and commercial HVAC systems. We also provide 24-hour emergency service every day of the week. If you need a new heating or air conditioning unit, call us today for a phone consultation or a free in-home estimate.